Greetings, dear reader. It’s Jim speaking. 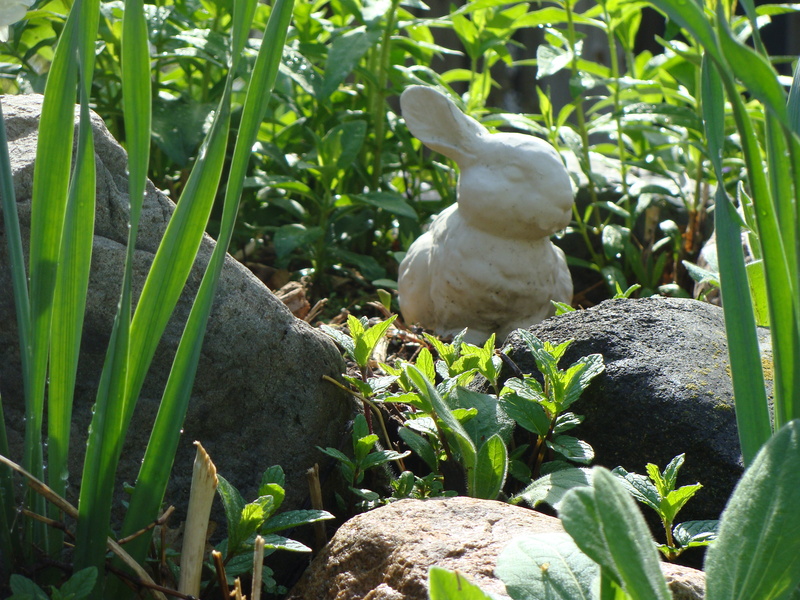 It’s not Stone Bunny or Doctor Spring or Gloriosa Daisy. It’s plain old Jim. I shared with you some of my impressions of the Greatest Spectacle in Racing – the Indianapolis 500 – hopefully lending a sense of the grand event while sharing with you my thrill at what great weather we experienced here central Indiana during this year’s race. But I blew it. I gave at least one reader the impression that I relaxed in my garden while I listened to the race. Oh no. That is not correct. Yes, I was in the garden. Yes, I enjoyed the race. Yes, I drank plenty of beer. But I do not relax in the garden while Pippa Mann and her buddies risk life and limb flying around the track at 200 miles per hour. Nope. I work. My tradition is that if I do not attend the race, I define a very specific project and DO IT while I listen to the race. And Hey! I’m the kind of guy who likes to get credit where credit is due. So….. I’m stepping even further out of my preferred narrative style and sharing with you my project. Work. Travail. I might as well, because if you follow this ridiculous blog, you might wonder ” from where did that fence come?” And if you keep following the blog (PLEASE DO!) you’re bound to see the darn fence at some point. Once upon a time there was a hedge. It was not a pretty hedge. It had been pretty, but it wasn’t anymore. 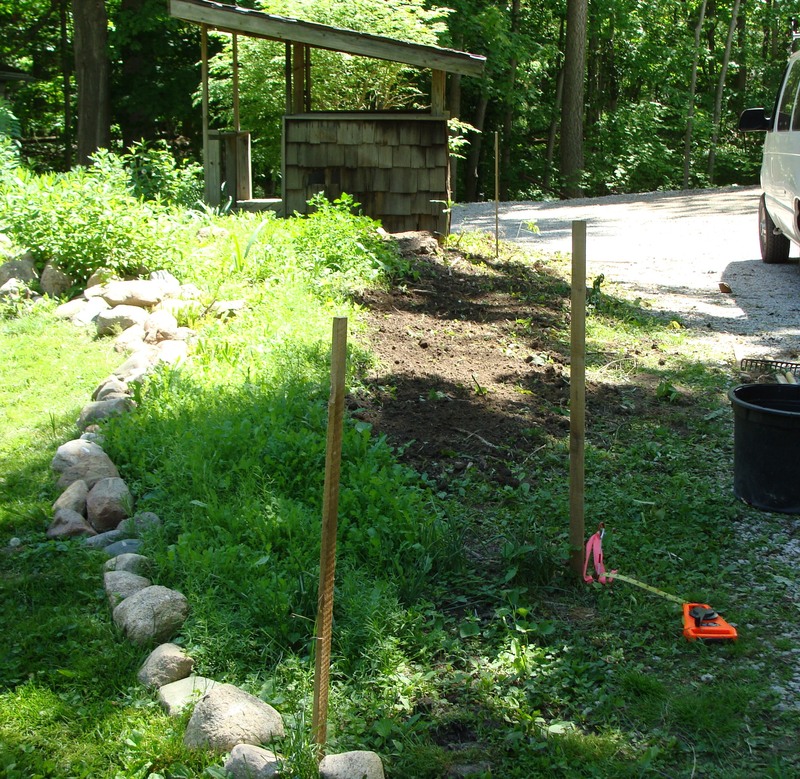 I cut it down and moved the individual bushes to other places in the yard. 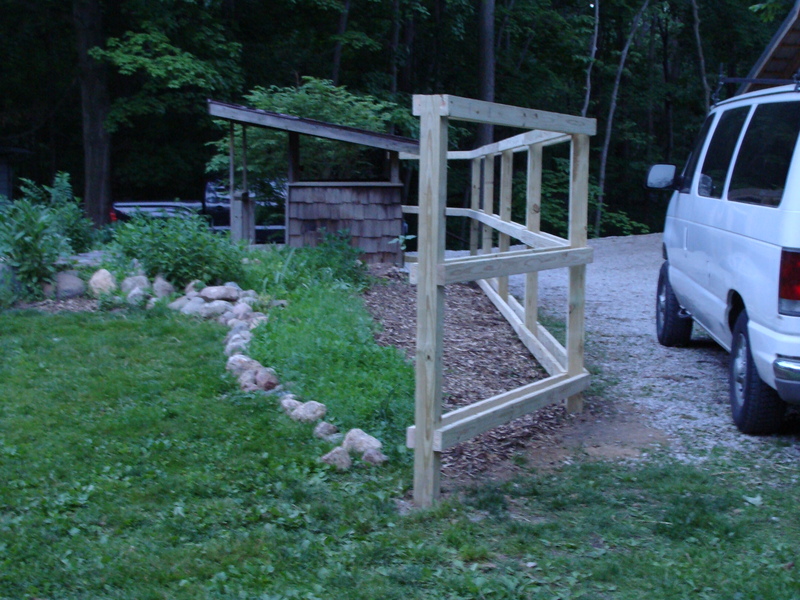 I was going to build a fence….. Here we are at the start of the 98th running of the Indy 500. Hedge removed. Rudimentary survey gear in place. Here we are at the end of the 98th running of the Indy 500. Post holes excavated. 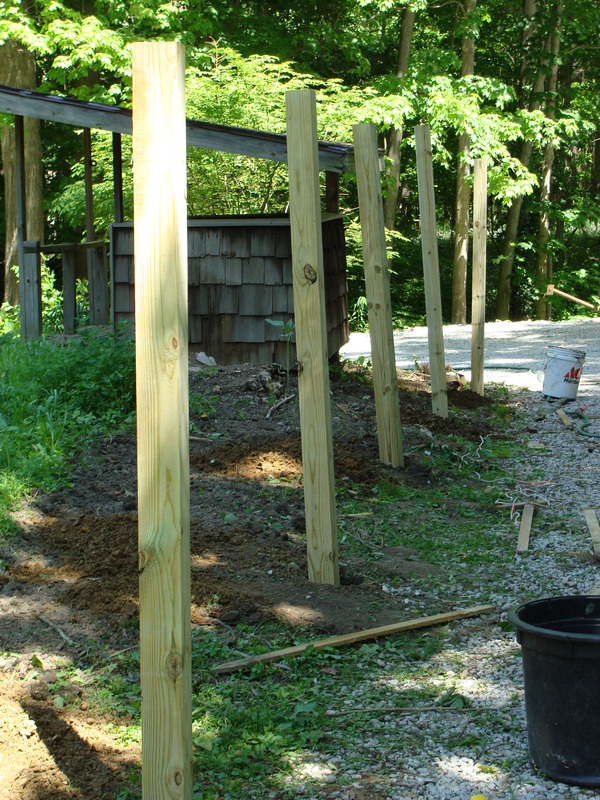 Posts standing loosely in the holes. That’s what I accomplished during the race. I dug 7 holes. Aren’t you proud of me? Here we are Monday…. And a little effort after work on Tuesday yields one side half done, the other well begun….. And that’s where we are now. Don’t worry. We have company coming on Saturday so Mark My Word! The fence will be complete by then. I could ramble on and on about why we constructed this particular fence in this particular place at this particular time, but I will spare you all that. Suffice it to say that my little buddy Amelia……. 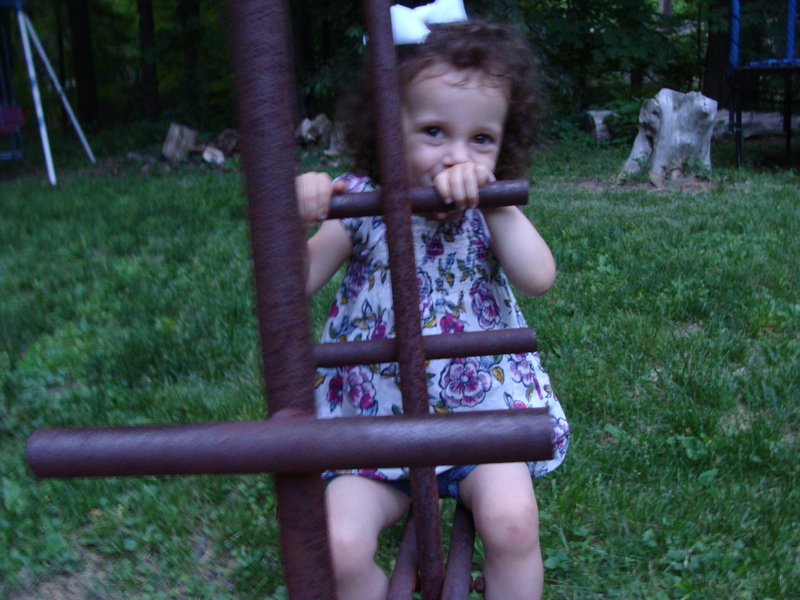 is going to be able to play in and around the the playhouse without worrying about cars and tractors running her over…. What better reason to build a fence? That, and the less-than-awesome view we have from the back patio is now much more awesome. Or will be when the fence is complete. Well done on a marathon effort – looks great! Stone bunny and pals are cute … but Amelia is so much cuter! Thanks Jim – and you too! I always enjoy your writing, it makes me laugh so often 🙂 ! 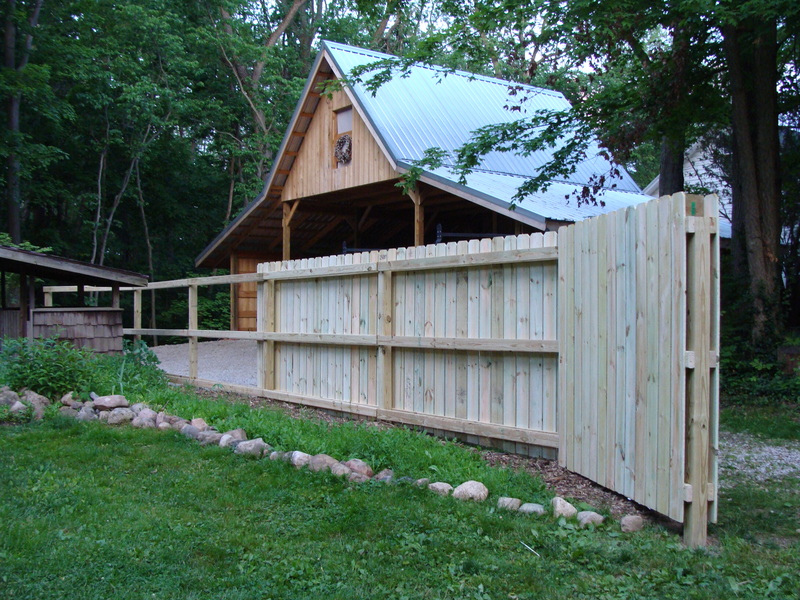 Wonderful post and great looking fence. I made my hubby put up a fence when the kids were toddlers and then I took it down ten or so years later, it made great firewood by that time. Now I’m considering planting some fruit bushes and trees and wish I had that fence again. Hubby says the neighbor kids will raid our yard for freebies — oh well, at least we’ll get some visitors. Effectivement, on est loin de la phase détente ! Bon courage pour la suite …. I notice you also picked up all the beer cans. That’s a respectable race day’s work in and of itself! 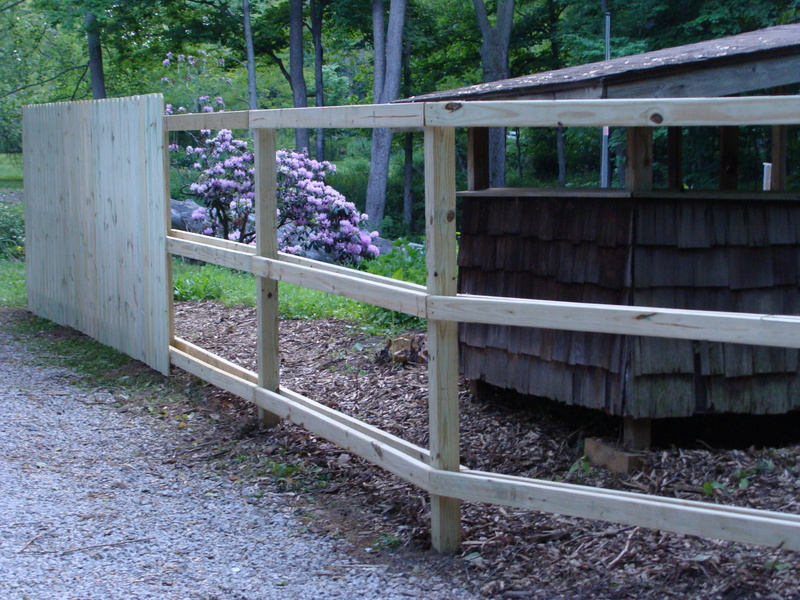 Keeping livestock out of harm’s way is very important and you’ve done it with style. Good work! 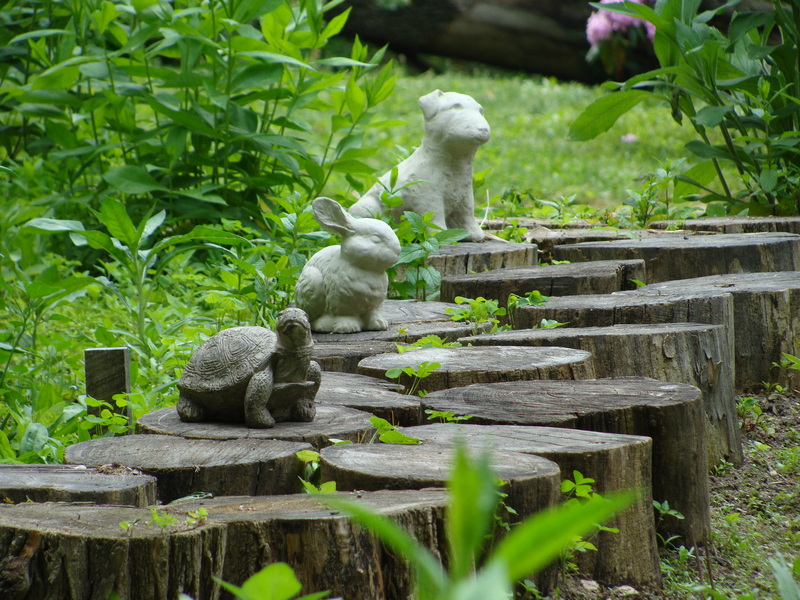 Previous Previous post: May 27, 2014 – Where were you?